The Village of Calumet is located in the Upper Peninsula about 30 miles south of Copper Harbor, the tip of the Keweenaw Peninsula. It is a community of national and state historical significance. In the latter half of the 1800's a copper mining rush built Calumet into a cosmopolitan community with fabulous architecture and culture. 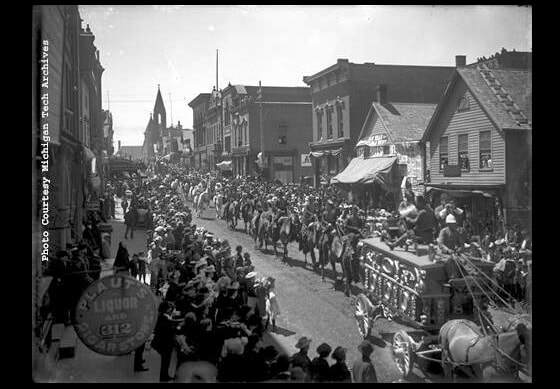 Calumet, in the heart of the Copper Country, was 60,000 strong by 1890. It is difficult to imagine the impact that mining in this region had on the rest of the nation and the world. 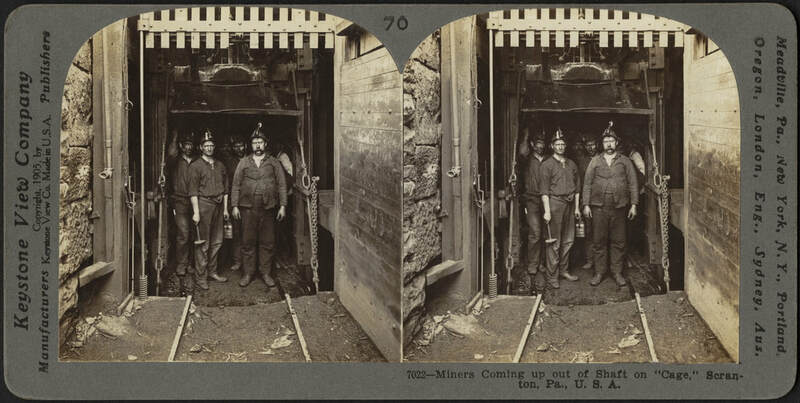 Over the course of 120 years in production, it is estimated that the mines of the Keweenaw Peninsula produced an estimated 10.5 billion pounds of copper. 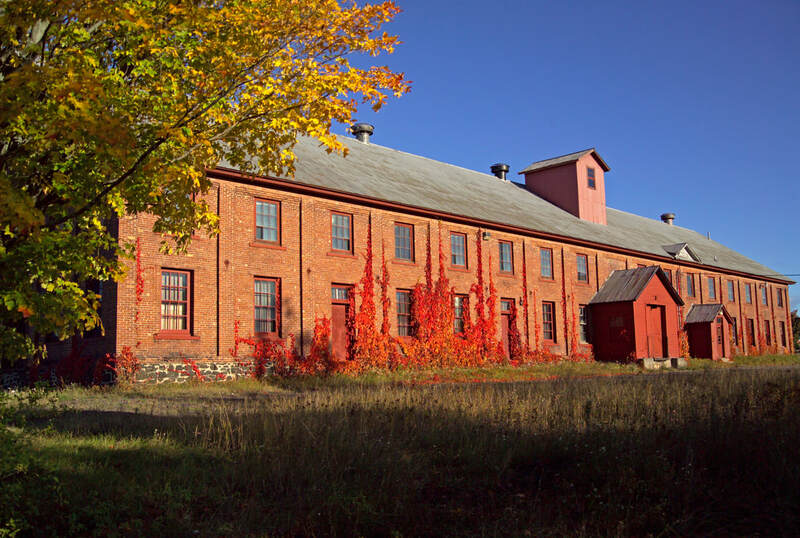 Today the Village is home to under 800 residents but as a result of the roll Calumet played in America's industrial heritage, the Village has been recognized as a National Landmark District and is part of the Keweenaw National Historical Park (est. 1992). As the seat of the Keweenaw National Historical Park, Park staff work to help residents and visitors appreciate our mining heritage, beautiful architecture and unique history. Aside from Calumet's tremendous mining heritage it is special because of it's geography and beautiful land cover. The Keweenaw Peninsula protrudes from Lake Superior like the spine of a enormous dinosaur wading into the water. Calumet is perched at the top of that spine and when winter comes, warm, moist air from the lake climbs the dinosaur's back and cools, and the resulting snowfall is fabulous! 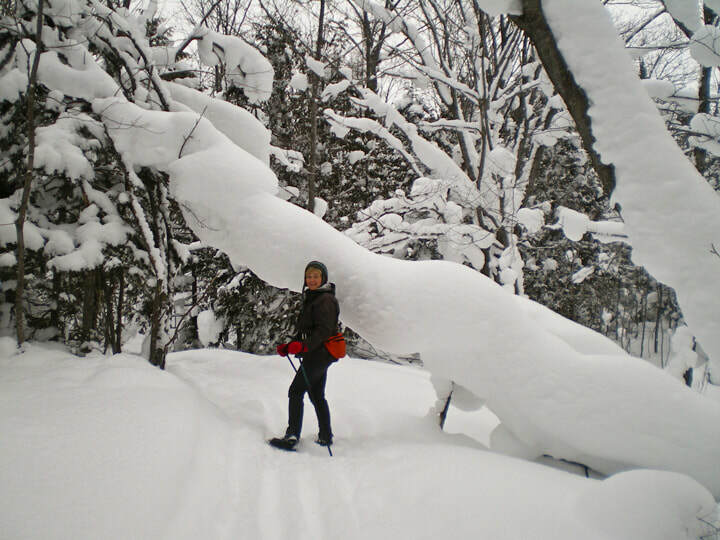 With well over 200" on a regular basis winter enthusiasts enjoy the full spectrum of outdoor activities from making a snowman or sledding to skiing and snowmobiling. Winter can be long, but spring, summer and fall are not to be missed in Calumet either! Surrounded by hundreds of acres of forest, with great trail and water access in every direction, Calumet is perfectly positioned for year-round adventure! 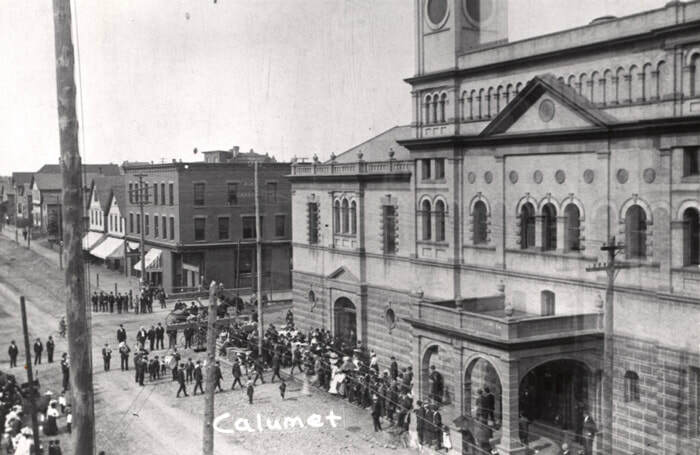 The Village of Calumet downtown commercial district has experienced a resurgence as a commercial and cultural center as the result of the efforts of Main Street Calumet, and the Downtown Development Authority. Through planning, technical assistance, and public/private partnerships, everyone in the Village hopes to see additional investment in private properties and public infrastructure, creating jobs and reinvigorating the downtown. 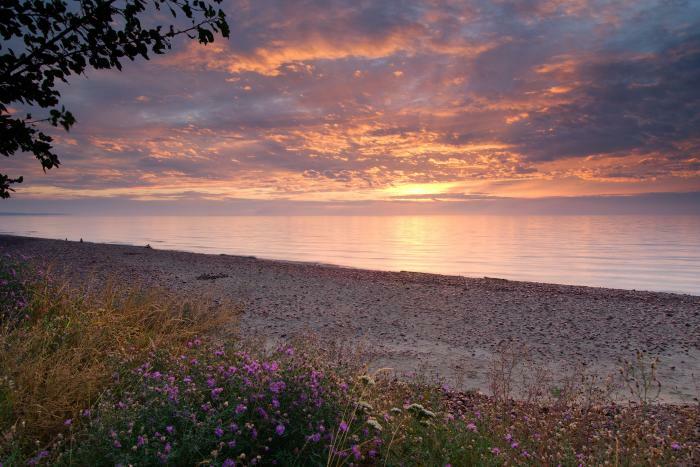 Enjoy the Lake Superior shoreline at Calumet Waterworks Park. A skier pauses to enjoy the view at Calumet's Swedetown Recreation Area. The former Calumet & Hecla warehouse no. 1 is owned by Keweenaw National Historical Park. Following renovation it will become home to the National Park Service Lake Superior Museum Collection Management Center. Visit Shute's 1890 Saloon with its original canopied glass bar.